Last Wednesday, Oct. 9, 2013, NASA’s Juno spacecraft made a slingshot pass of Earth in order to get the necessary speed boost to reach Jupiter in 2016. 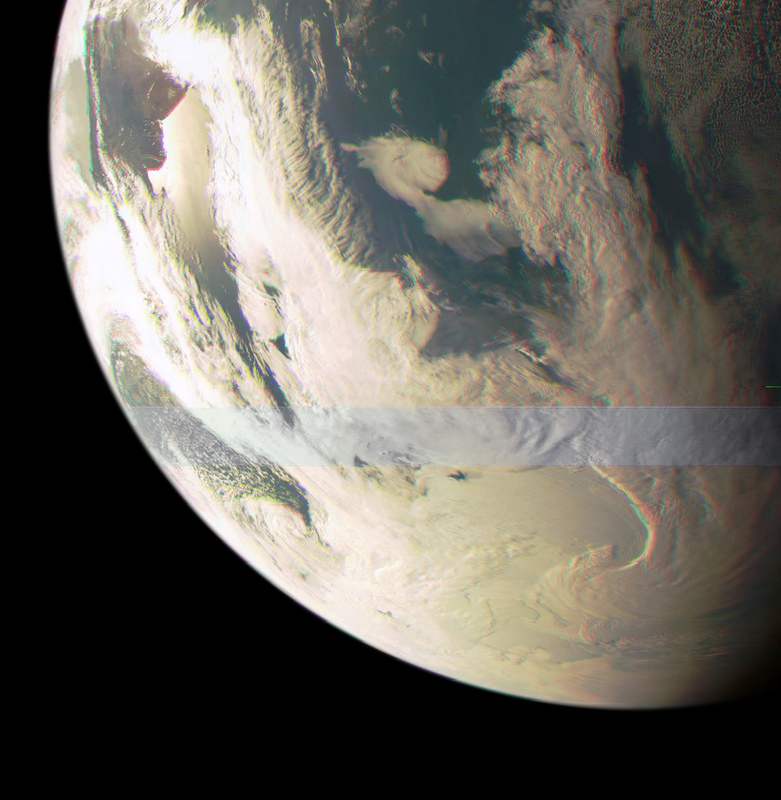 As it came within 347 miles of our planet’s surface, passing closest over the southern Atlantic at 3:21 p.m. EDT, it used its JunoCam (developed by the San Diego-based Malin Space Science Systems) to take images along the way. This is one of them, and it gives us a spacecraft’s-eye-view of the Atlantic and the eastern coast of Argentina. I cleaned up the image from its original, removing some color fringing and horizontal bars that were discrepancies in the color channels, and white-balancing it as well. 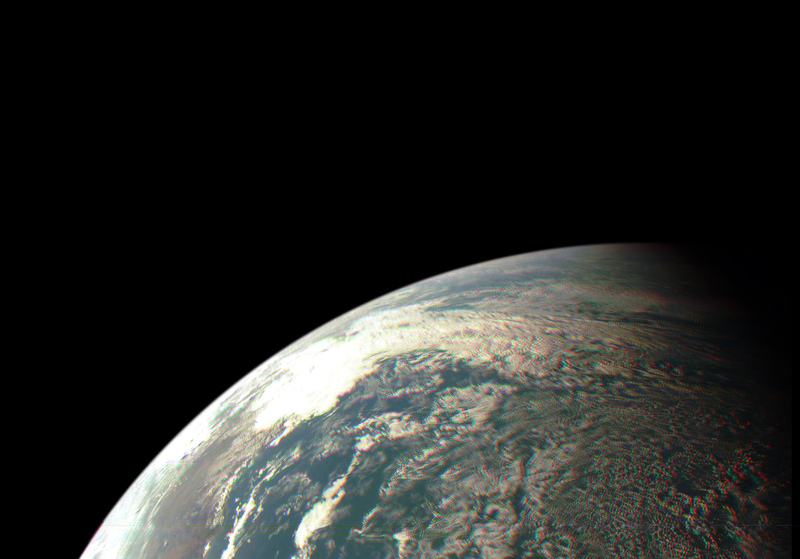 See the original here, and read more about the Juno flyby (and check out more images) here. This was a major milestone in the Juno mission, which launched on August 5, 2011 and has spent the last 2 years making an enormous loop around the inner solar system. Juno is now on its way out to Jupiter on schedule for a July 4 arrival in 2016. Go Juno!